We love knowing when users find an invitation that perfectly matches their party theme, but we must admit it’s even more exciting when users fall in love with an invitation first and design their entire event around it. We get to see plenty of examples of both—in fact, we recently posted about one particularly beautiful third birthday party—but we just had to share two striking examples of baby shower invitations that were brought to life in a delicious way. Our Paris-based design partner Little Cube has a warm, natural vibe with designs depicting whimsical floral and animal themes. 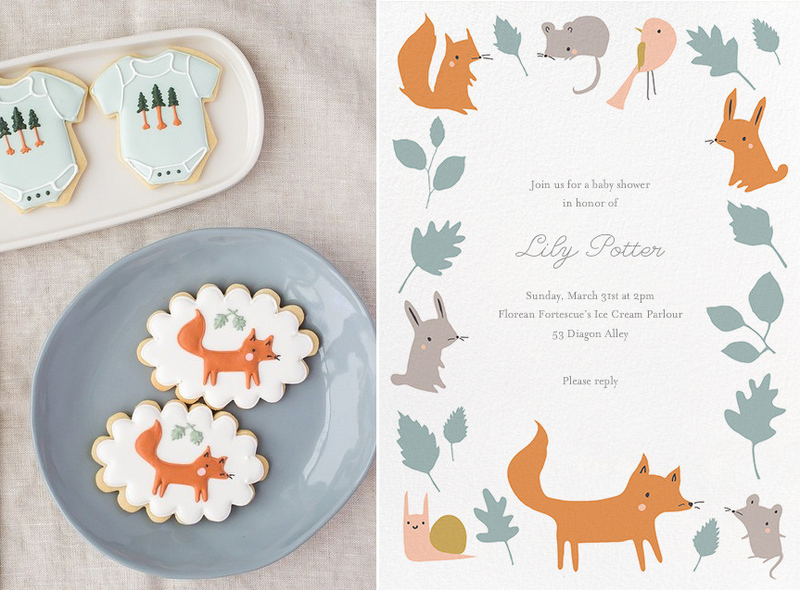 Making the most of the designer’s Foxy’s Forest Party invitation, cookie-artist Sweet Kiera adapted its playful illustrations into an adorable set of frosted fox cubs and forest-embellished onesies. Petit Collage, another of our kid-minded design partners, is all about vibrant colors, geometric patterns, and baby animals. 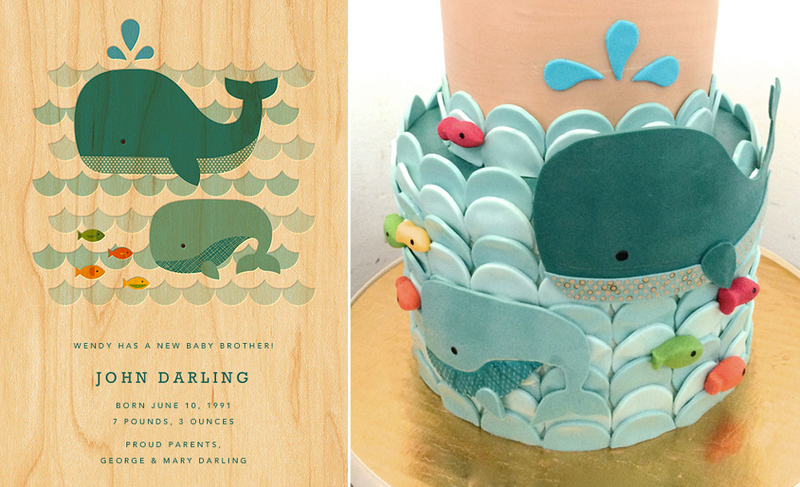 San Francisco’s Pretty Please bakery created a fun homage to Whale Baby, a darling Petit Collage invitation featuring creatures of the sea. We love seeing this card expanded into three dimensions, morphing the whales and fish into fondant figures around an intricately designed wood pattern that mimics the invitations’ wooden background. Cookies by Sweet Kiera. Cake by Pretty Please.